What makes Phat Water Filter one of the best on the market.? For starters the unit is pressure driven - saves money on electricity because it doesn't need any power. Save time on electrical maintenance, again because no power needed. The unit is safer for around children, again because there is no power required reduces the risk of eletrocution if little hands start tugging at the unit. Our Compact unit is the smallest unit in the Australian market today, rather than the large bulky traditional styled units. 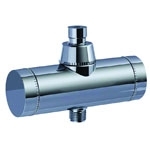 No more mess and fuss when changing filters such as the older traditional styled units where you needed to undo the entire cannister, getting water everywhere, our units undo from the top and only needing to remove the actual filter itself, taking half the time, and no mess. The unit is an Australian made unit, thus no need to send the unit oversea's to claim against the warranty. All units are factory tested before they leave, so you know you won't get a dodgy unit. 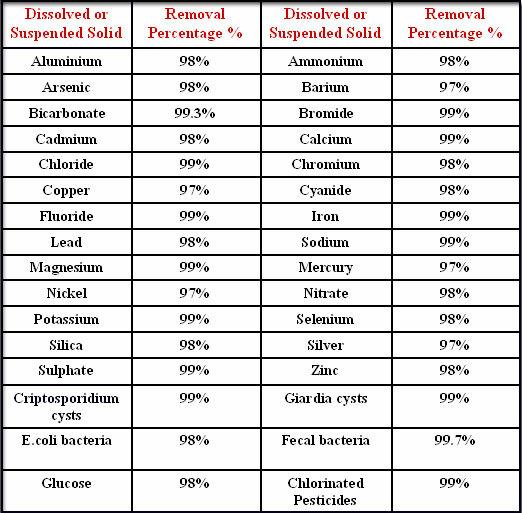 And below is the list of impurities that our units filter out of each and every unit. This list is an approximation only - the results are based on an aggregate of City water samples tested, your own results may vary from source to source. Should you have any enquiries or questions please feel free to drop us an email.